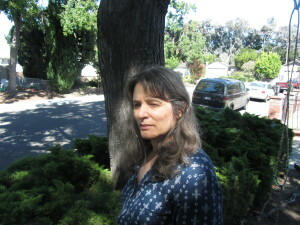 Deborah Olenev in front of tree. Deborah Olenev CCH RSHom (NA) began her homeopathic education in 1983 when her daughter was a few months old. Unhappy with her daughter’s reaction to her first vaccination and frustrated with the ineffective treatment for the baby’s colic, Deborah was ripe and ready for an alternative. Over a dinner conversation, a friend told her about an interesting alternative therapy called homeopathy. What he said about matching the symptoms of the patient to those of the remedy made sense. Her curiosity was sparked. Deborah, a graduate of Barnard College, Columbia University in New York City, had been working for a publishing company doing copyediting and proofreading work. The company gave her a free book on homeopathy they had published. The book stood unopen in Deborah’s bookshelf for over a year. Now she was ready to open it. While reading the book Deborah could not contain her excitement about the subject. Her passion was ignited. From then on Deborah devoted every spare moment of her life to studying materia medica and repertory. She enrolled in a three year homeopathic college in New York, and attended seminars taught by the greatest European, American, Indian and South American homeopaths of this century for the next eight years. She gained experience treating family, friends and a growing clientele. In 1990 Deborah moved with her family to Menlo Park, California, where she had the good fortune to be able to apprentice with and work for a homeopath for nearly two years. 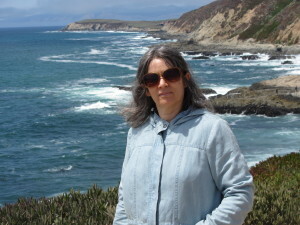 Deborah received board certification in homeopathy in 1993 from the Council on Homeopathic Certification and also joined two alternative health groups, where she could practice her craft in the company of colleagues. These days she practices from her home office in Mountain View, California, and does phone consultations with people from the United States, Canada and other countries. IHA proved to be a very good association for Deborah, because she met her husband, Paul Sibcy there. They subsequently produced Abraham, her third child. Paul is a practitioner of process acupressure, does individual and couples counseling, and teaches meditation and Kriya yoga. Together they have formed a partnership, where they support each other on their spiritual paths and in their healing work. Deborah’s clientele includes men, women and children of all ages, with the full range of health complaints. Deborah has a family based practice, where over 50% of her clients are children. She has developed her own unique style of practicing homeopathy where she incorporates life style and meditation counseling in her work. Her clientele includes men, women and children of all ages. She believes that to be healthy all aspects of one’s life must come into harmony starting with having healthy mental processes and emotions to cultivating a healthy life style and relationships. She assists people with remedies and some guidance to bring joy, happiness and health back into their lives.